Look-alike modeling is frequently used to gain insights about potentially valuable customers. As a marketer, you can measure and compare a dizzying array of variables. 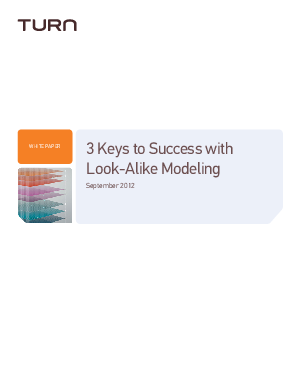 In this paper we examine three keys to success with look-alike modeling. Dowload here.